On Thursday, the Center for American Progress (CAP) published an analysis of just how devastating the Senate healthcare bill would be for LGBTQ people. 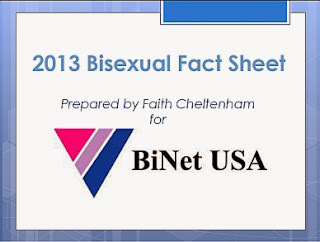 Here is a closer look at the CAP findings and how the bill would impact bisexual people. Read more about the bisexual community here: Invisible Majority. A closer look: Among sexual minority respondents to a CAP survey, bisexual individuals have a higher level of uninsurance (19%) than gay men (6%) and lesbians (4%). 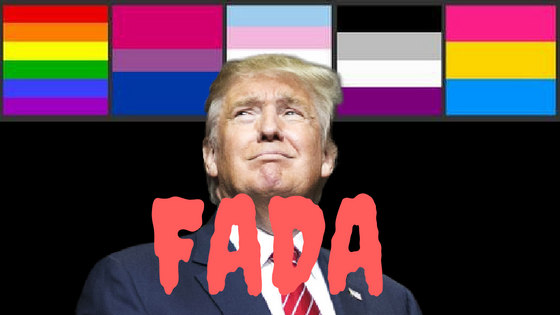 CDC analysis shows that bisexual people are more likely to have failed to obtain needed medical care in the past year due to cost (16.2% of bisexual people compared to 11.7% of gay/lesbian and 7.6% of heterosexual people), making the ACA’s improvements toward increase coverage and affordability all that more important. A closer look: Research finds that bisexual adults have a higher prevalence of disability than the LGBT community and the general population. Among men, 22% of heterosexual men, 26% of gay men, and 40% of bisexual men have a disability. Among women, 25% of heterosexual women, 36% of lesbians, and 36% of bisexual women have a disability. A closer look: Two-thirds of LGB parents are bisexual: approximately 59% of bisexual women and 32% of bisexual men have had children, compared to 31% of lesbians and 16% of gay men. A closer look: Bisexual people have statistically higher rates of some substance use than lesbian and gay people, and straight people. A closer look: Bisexual-identified and behaviorally-bisexual people are at significantly higher risk for some mood and anxiety disorders, including depression. The Senate health care bill will be devastating for LGBT people, and for transgender and bisexual people especially. Bisexual people make up over half of the LGB population. Save our care! Tell your Senator today to vote against the health care bill.